Sign of the "Times?" Could staffers accept a pay cut. 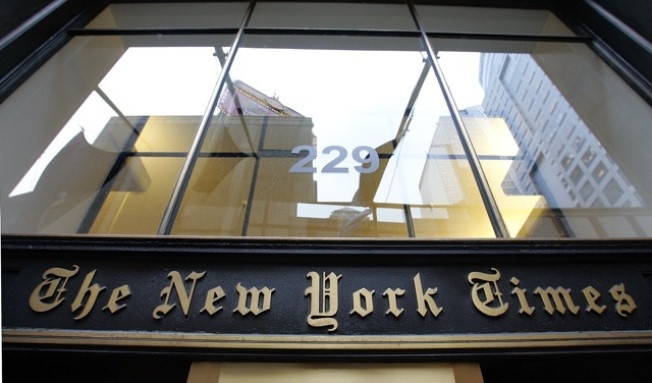 It has been a tough day in The New York Times newsroom, what with the newspaper telling staff that it was laying off 100 employees and instituting a temporary salary reduction for non-union employees. “The recession, especially the deteriorating advertising climate, is exacting a bitter toll, despite all that we have already done to reduce spending,” said an internal memo obtained by News 4 New York. Non-union employees, including managers and editors, will take a 5-percent pay cut for the remainder of the year. They will get 10 extra personal days, sources said. About 100 employees in Times's business operation are losing their jobs. The paper is also asking newsroom employees represented by the Newspaper Guild to take a similar pay cut. There will be a guild meeting this afternoon, during which the union will discuss The Times' financial situation, according to one source close to the paper. “We honor those who will no longer work alongside us and extend our gratitude to them for their contributions. Further, we want to thank every one of you who are sacrificing a portion of your pay over the remainder of the year,” the Times memo said. It's been a tough year for newspaper across the country. In recent weeks, EW Scripps Co. has shut down Denver's Rocky Mountain News, while Hearst Corp ended the Seattle Post-Intelligencer's print edition and has threatened to close the San Francisco Chronicle. Meanwhile, Gannett Co Inc., the publisher of USA Today and dozens of other papers, has forced employees to take unpaid furloughs to save money.